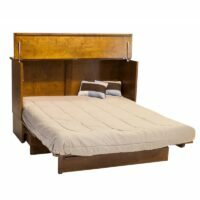 The Denva Cabinet Bed has a modern flare and is a fit for a contemporary space. 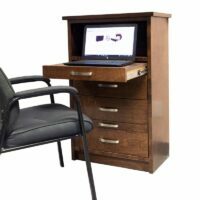 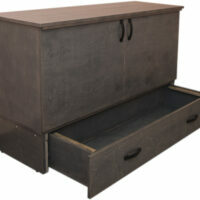 Use it as a cabinet or TV stand by day and comfy fold out bed at night. 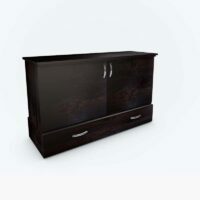 By day, the modern Denva Cabinet Bed and Piers is a handsome wall unit. 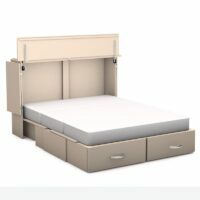 By night, the Denva is a comfy fold out bed with pull out nightstands and LED lighting. 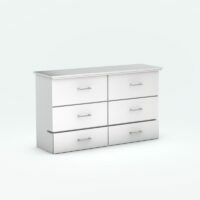 Choose one of our beautiful finishes. 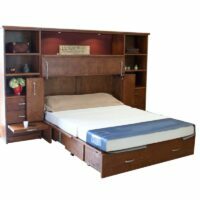 The Park Avenue Cabinet Bed is our top of the line fold out bed. It features all wood construction and a premium cool gel memory foam mattress. 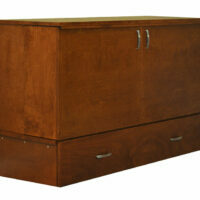 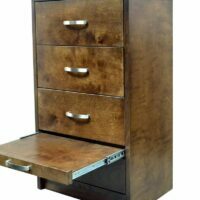 Our side cabinets have hanging rods in the upper section and 3 drawers in the bottom. 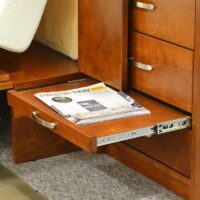 Above the bottom drawer is a pullout nightstand! 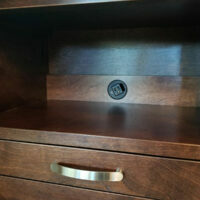 The center light bridge with dimmer switch has 3 light settings. 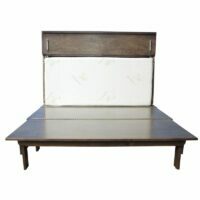 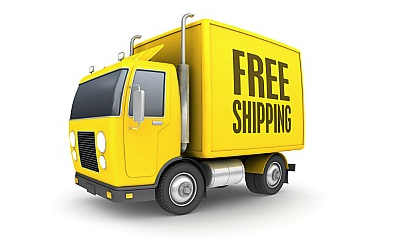 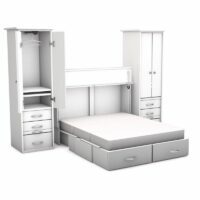 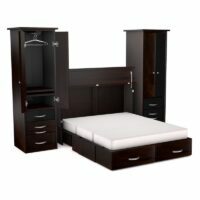 Enjoy free shipping on The Park Avenue Cabinet Bed pier wall, a guest room anywhere you need it. 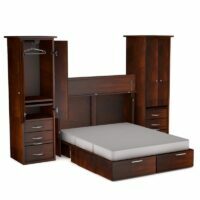 A full or queen size bed with storage piers, pullout nightstands and a large storage drawer under the bed. 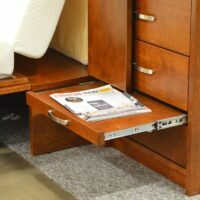 The Stanley Cabinet Bed is a miracle in cabinet bed engineering. 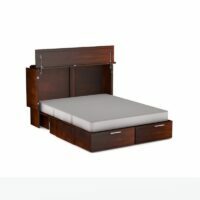 One minute the Stanley is a handsome cabinet, the next it’s an instant bed. 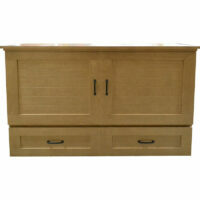 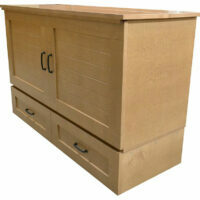 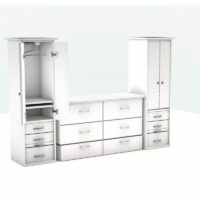 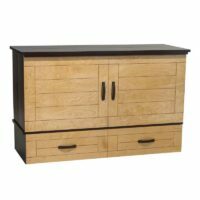 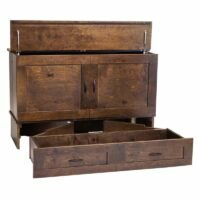 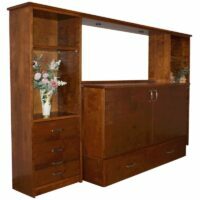 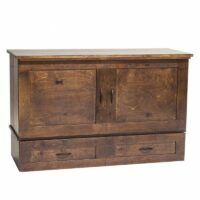 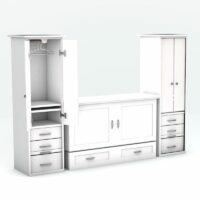 The Town and Country Cabinet Bed has flat panel doors and drawers. 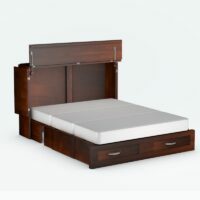 One minute the Town and Country is a handsome cabinet, the next it’s an instant bed. 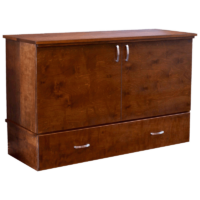 The classic Town and Country Cabinet Bed with Piers creates a beautiful wall unit. 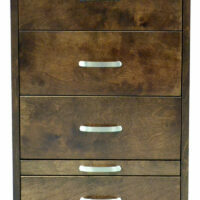 The side pier cabinets come with upper doors and a clothes hanging rod with a lighted bridge.